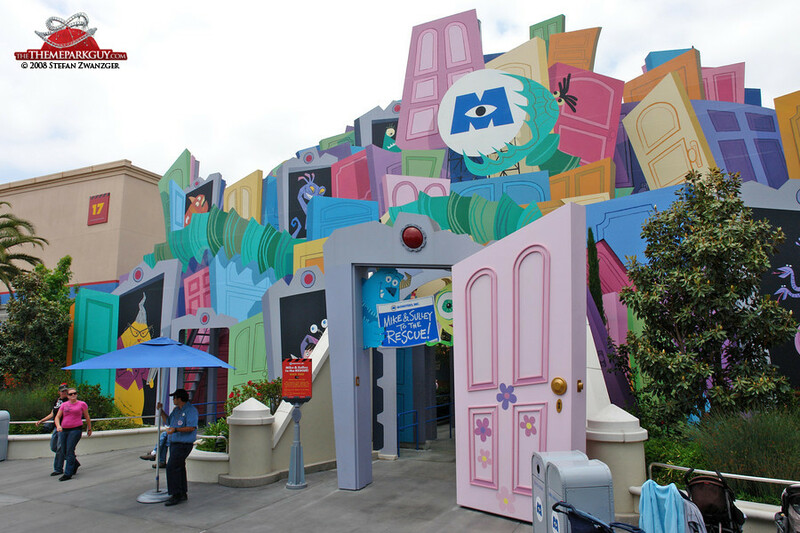 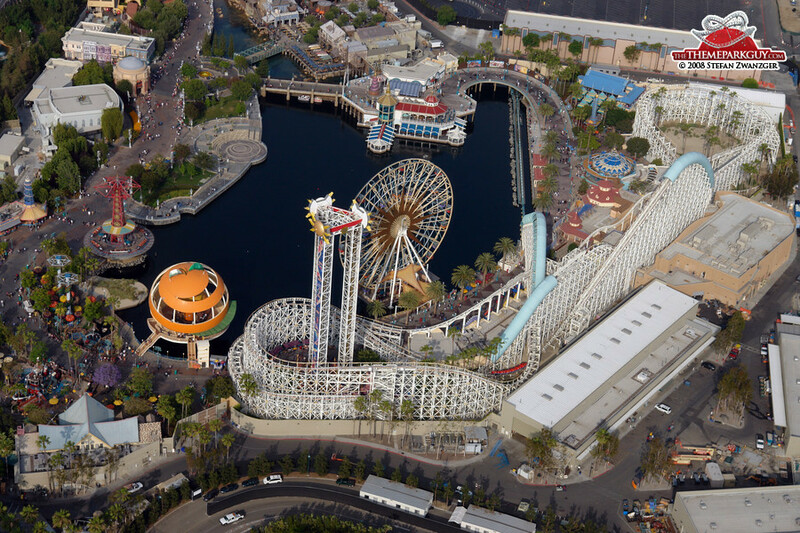 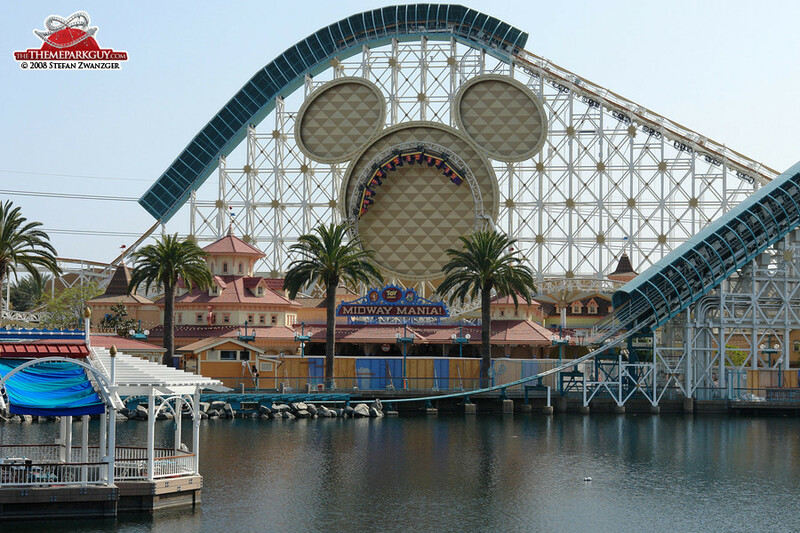 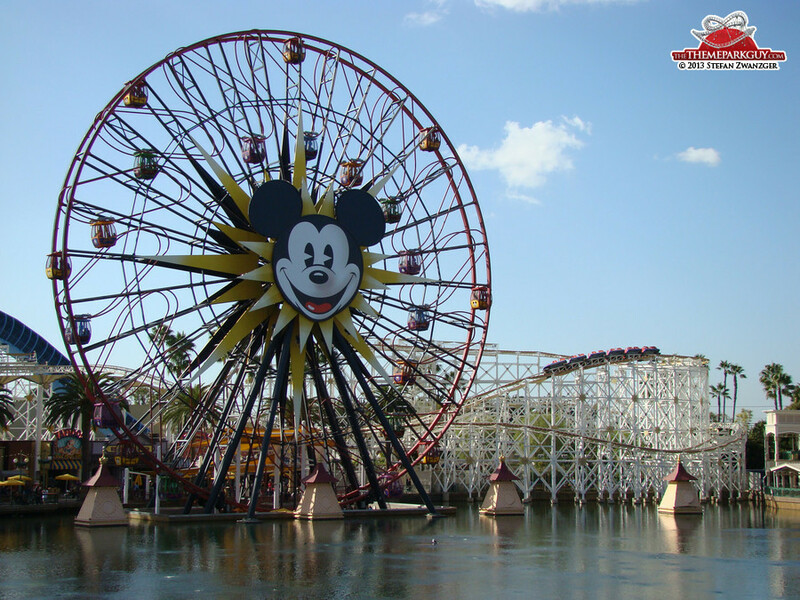 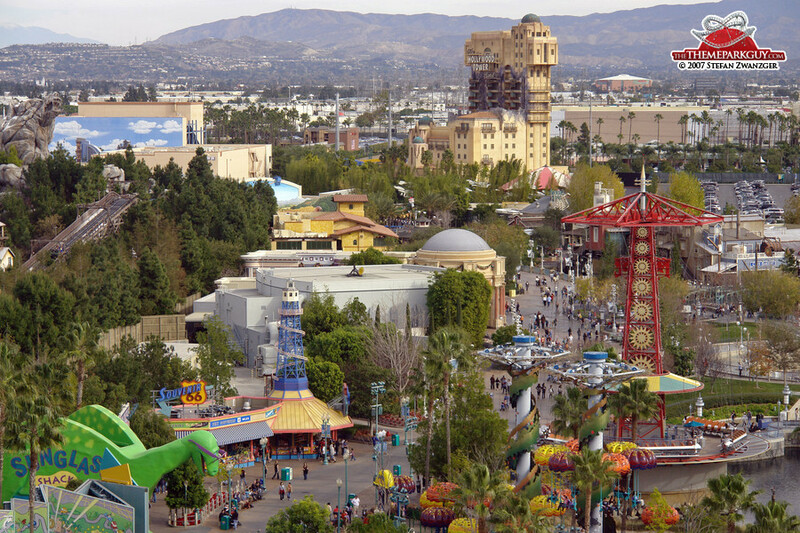 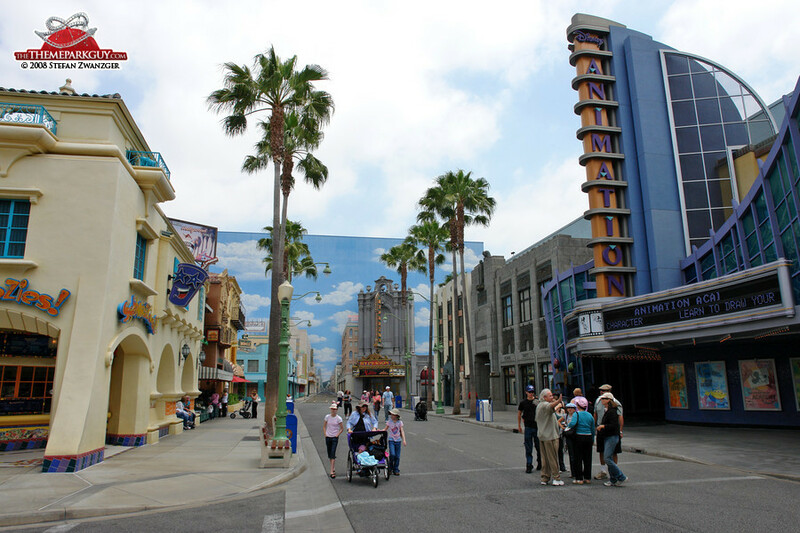 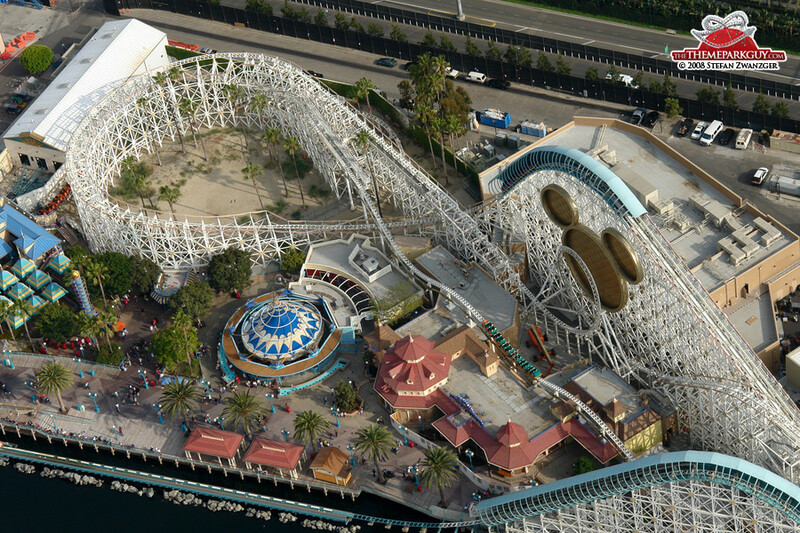 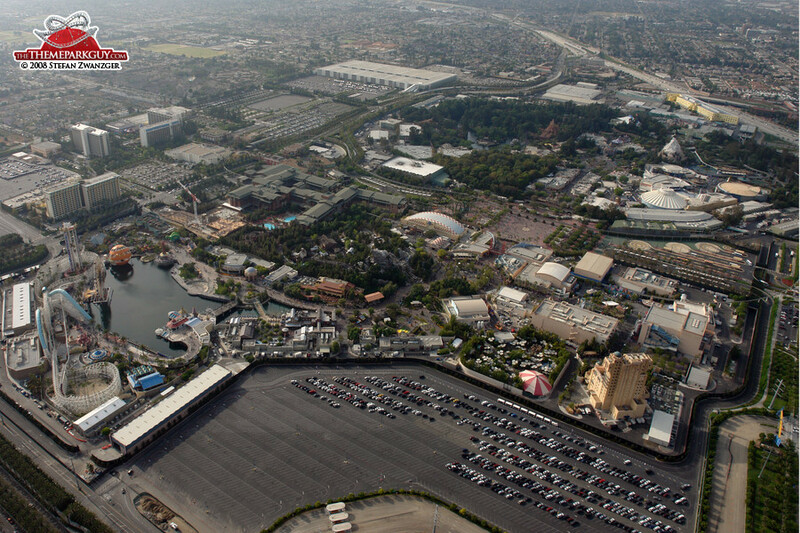 Disney’s California Adventure used to be one of the two worst parks in Disney history, however notably improved after the recent revamp. 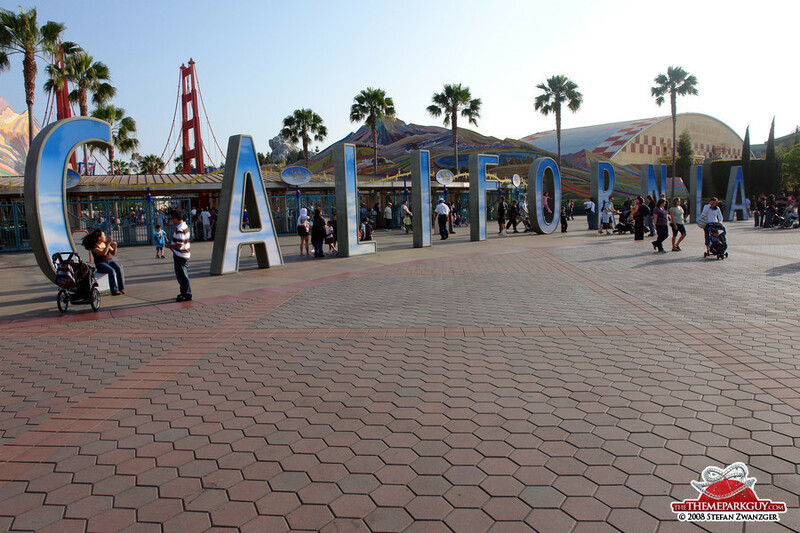 It still lacks a center, a landmark, and in my opinion an overarching identity, although efforts have been made to theme the park after a nostalgic version of California. 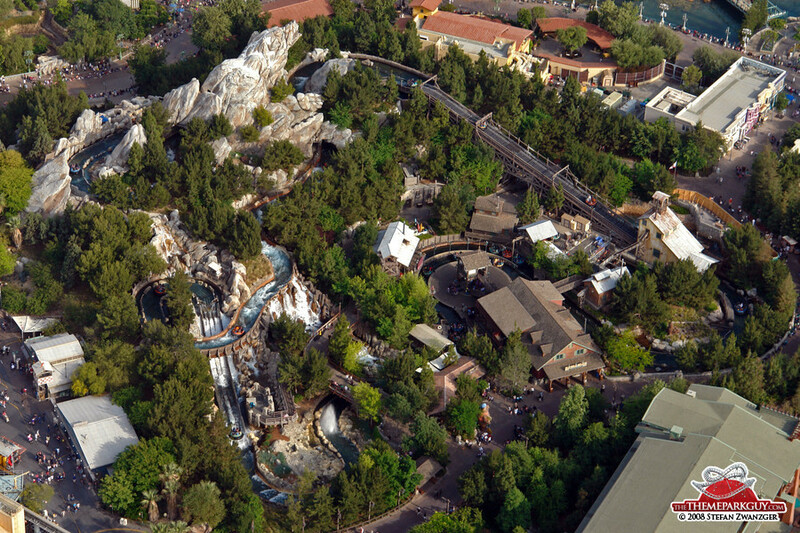 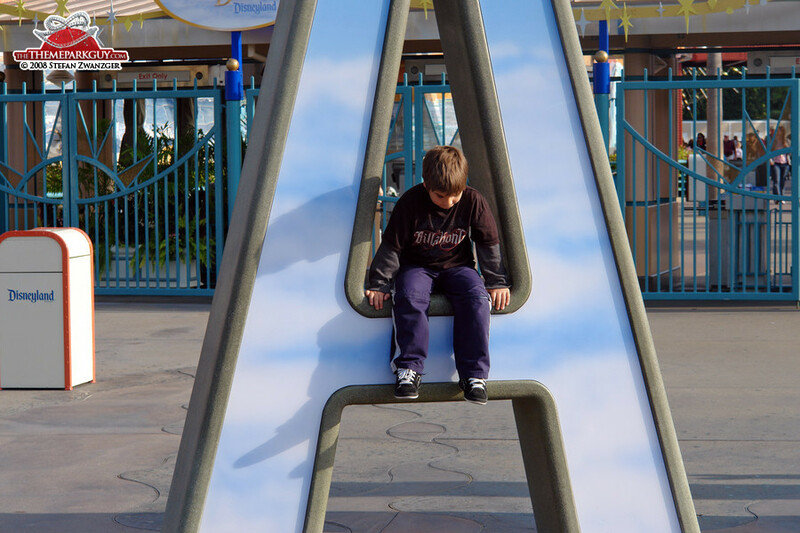 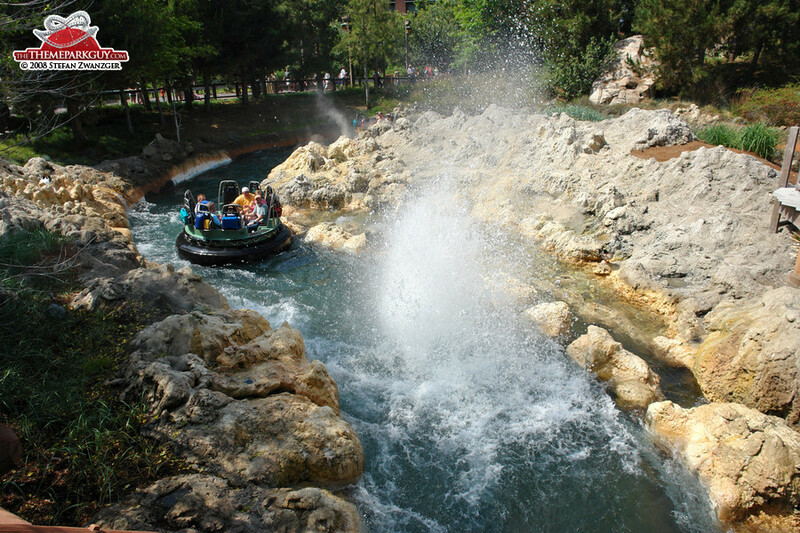 What's great is that the park features some really good thrill rides, which Disneyland next door lacks. 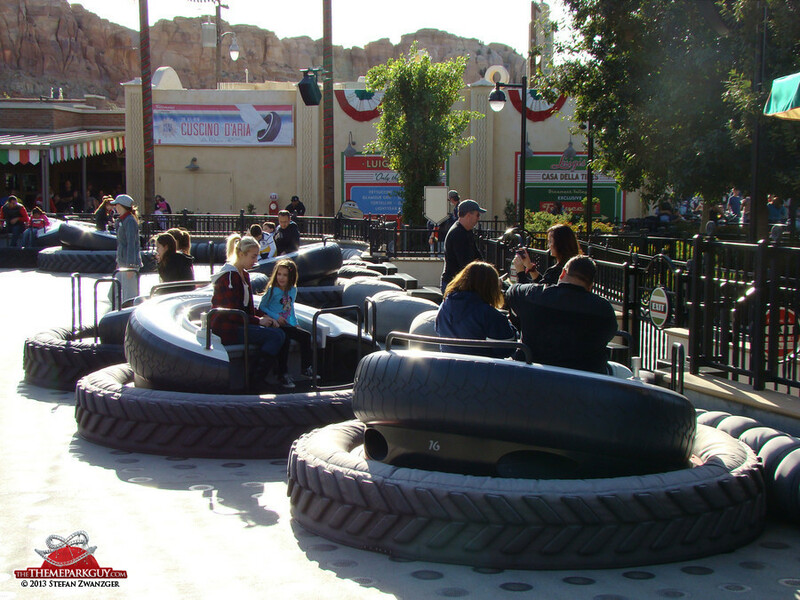 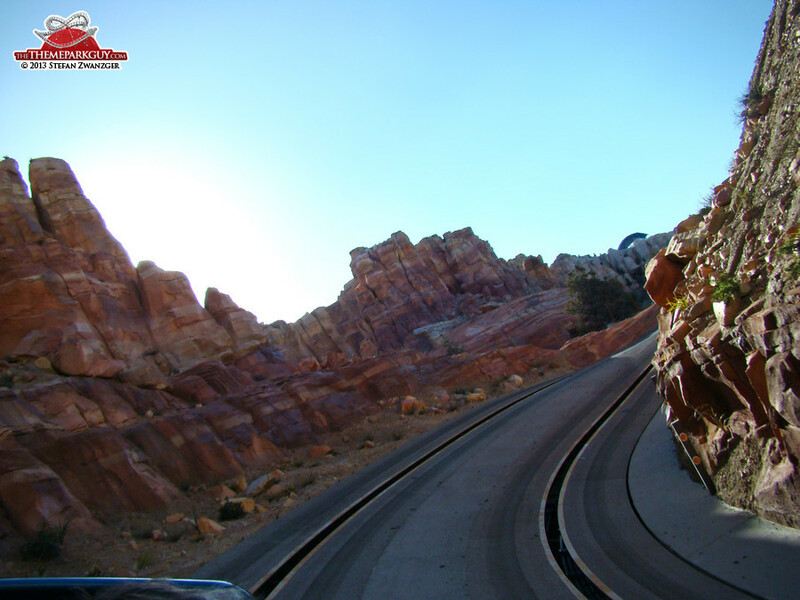 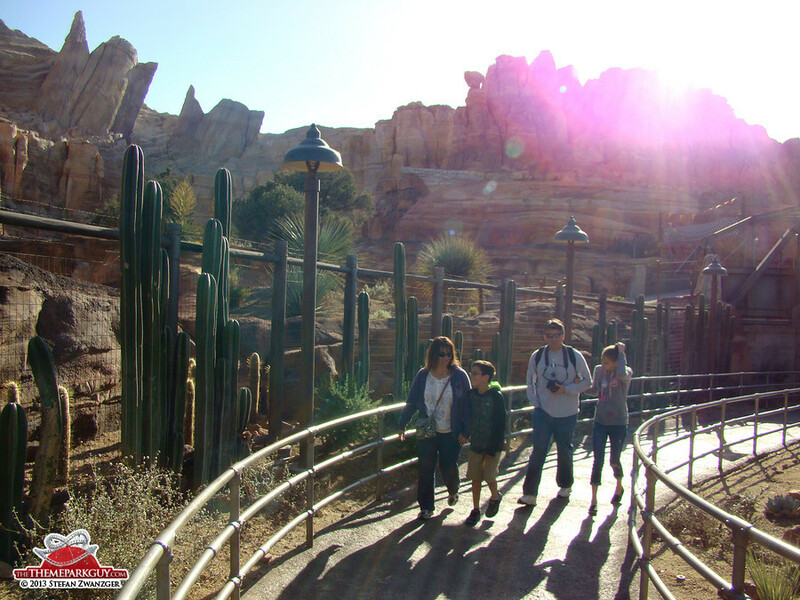 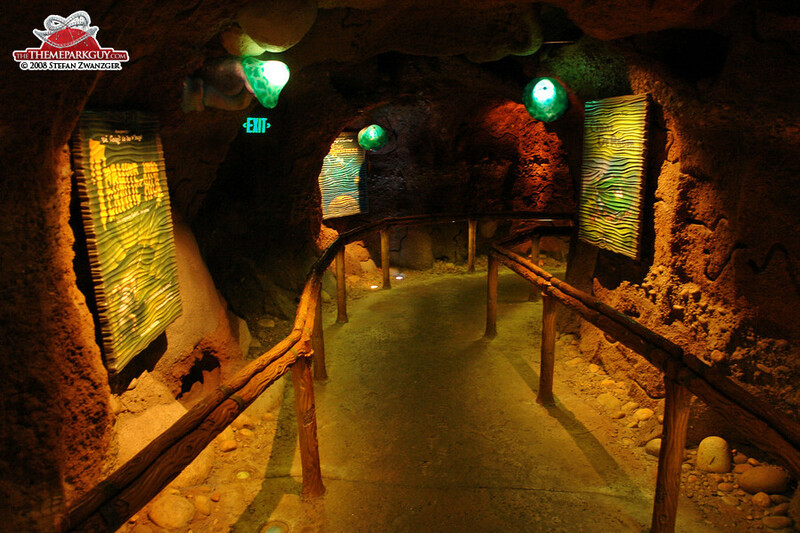 'Radiator Springs Racers', themed on Pixar’s movie ‘Cars’ and featuring the same ride technology as Epcot's 'Test Track' and Tokyo DisneySea's 'Journey to the Center of the Earth'. 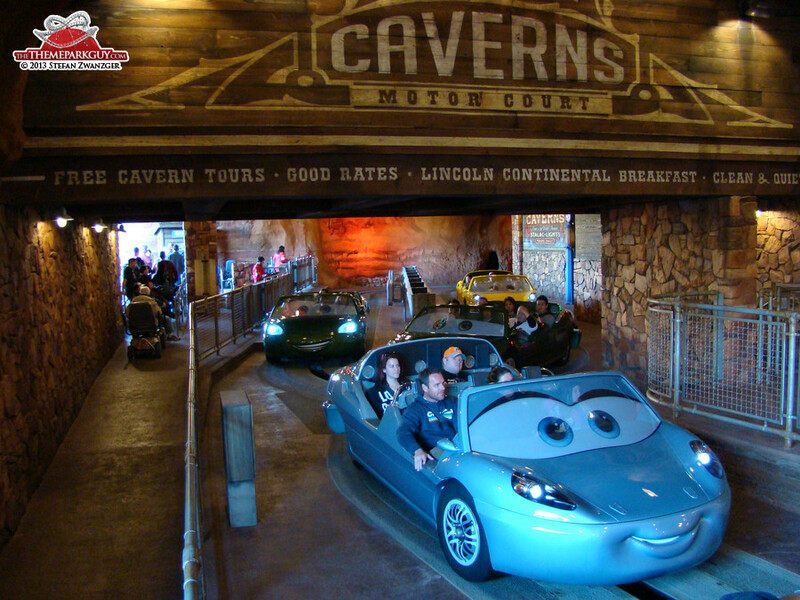 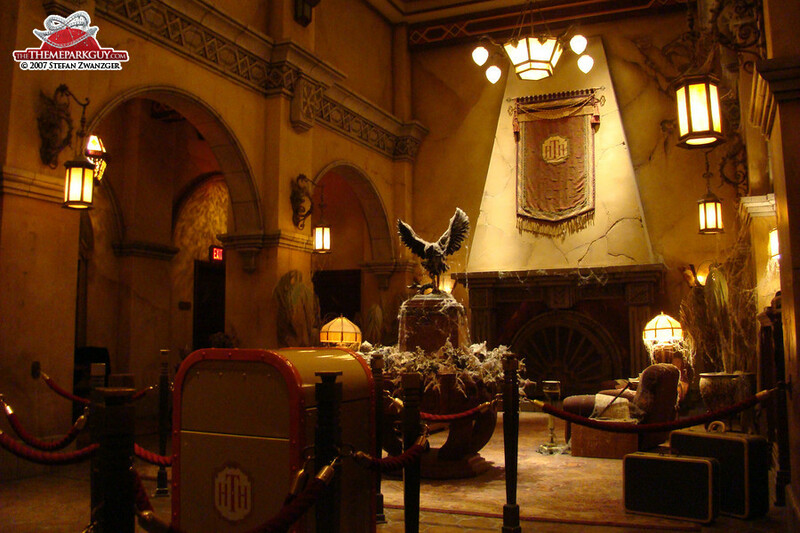 A solid ride with some awesome car animatronics! 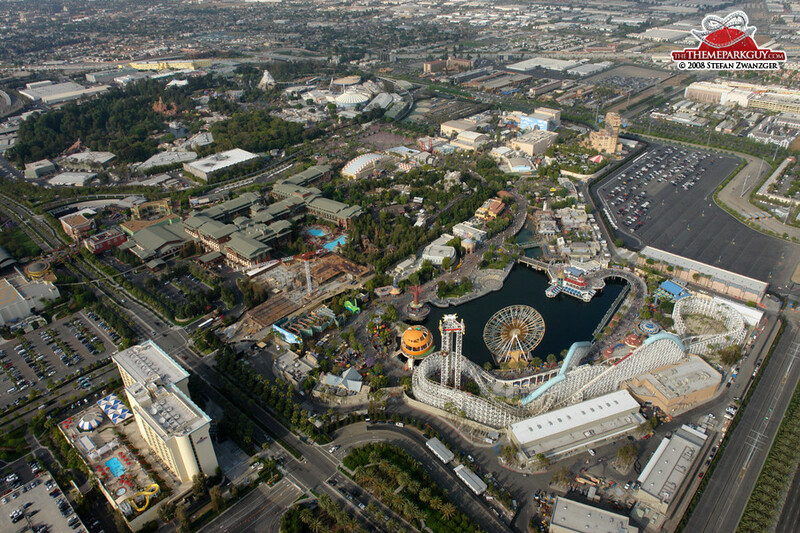 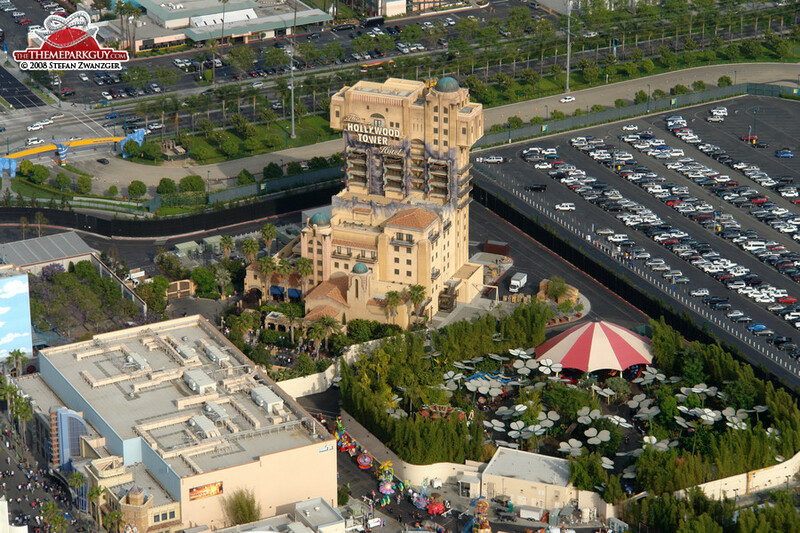 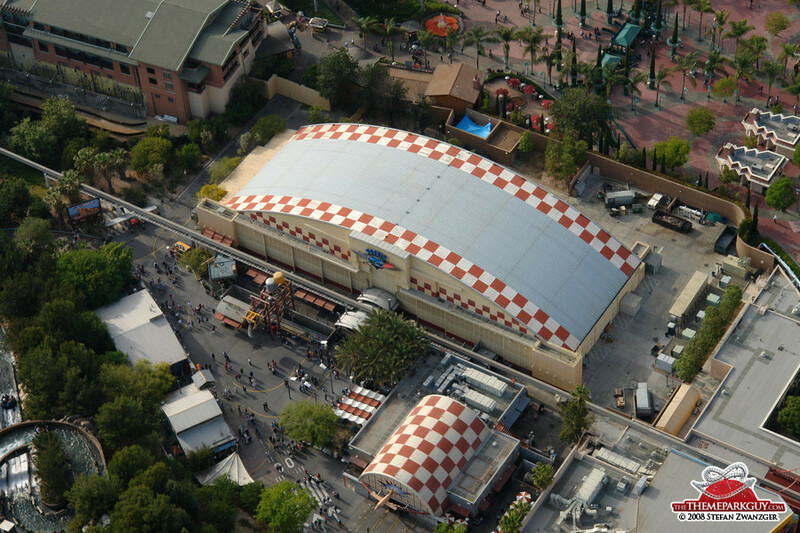 'Soarin’ Over California': originally designed exclusively for this park, this is an awesome movie ride that makes you really feel like you’re flying over California’s landmarks. 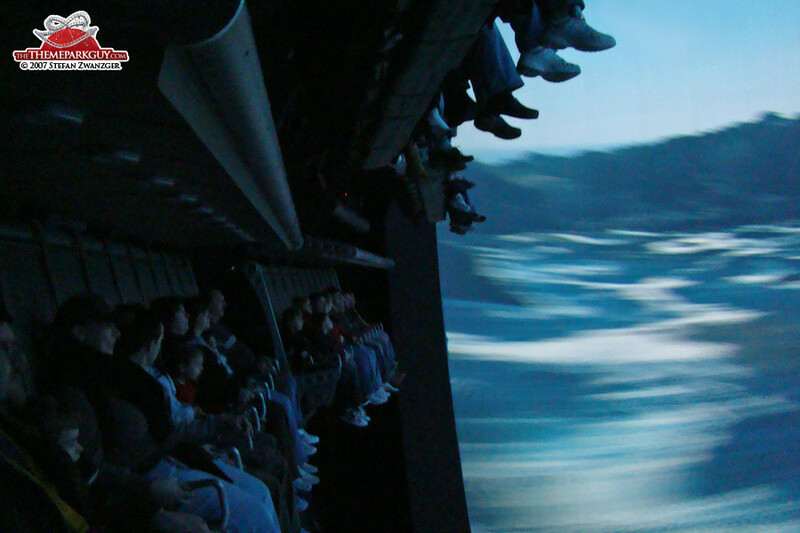 Wind blows in your face, your feet are dangling in the air, and the inspiring experience won’t leave you as sick as some flight simulators do. 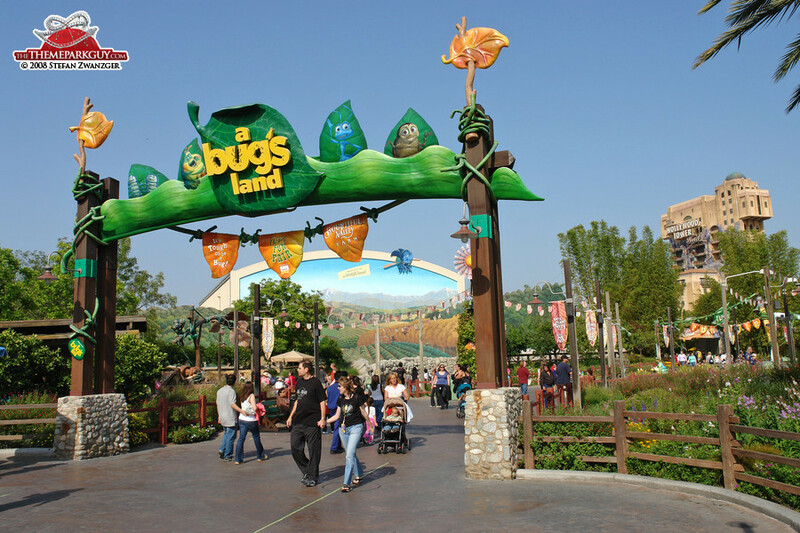 'It’s Tough to Be a Bug! 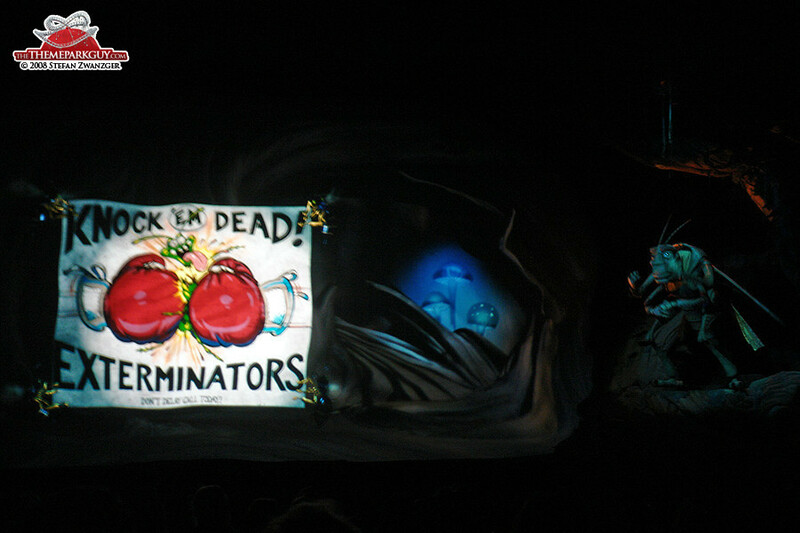 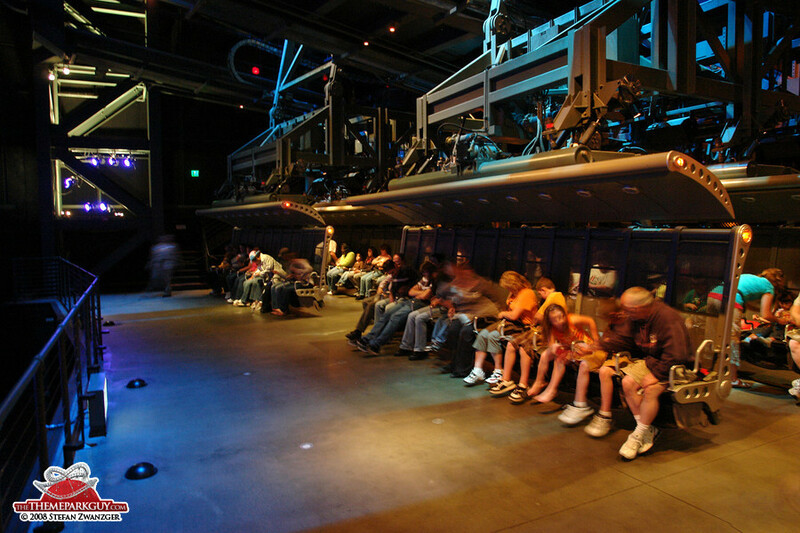 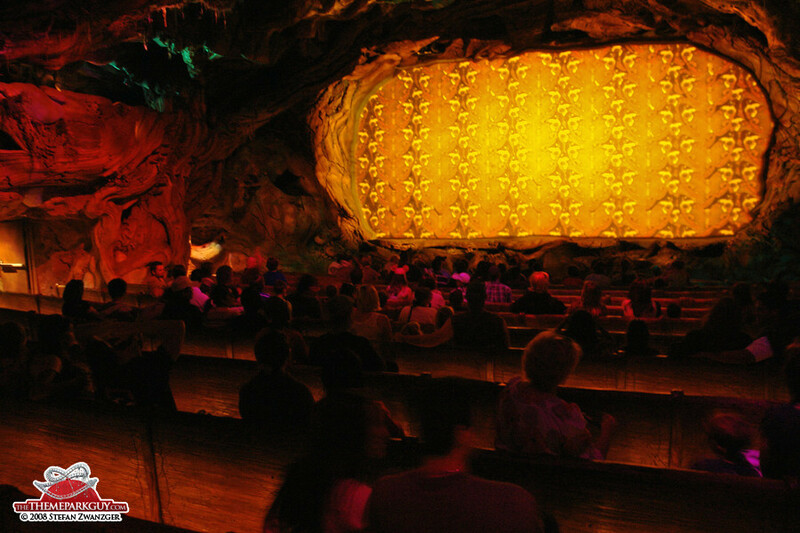 ': the best 3-D movie ever produced for a Disney theme park with a great storyline and surprising effects, such as bugs and spiders attacking the audience. 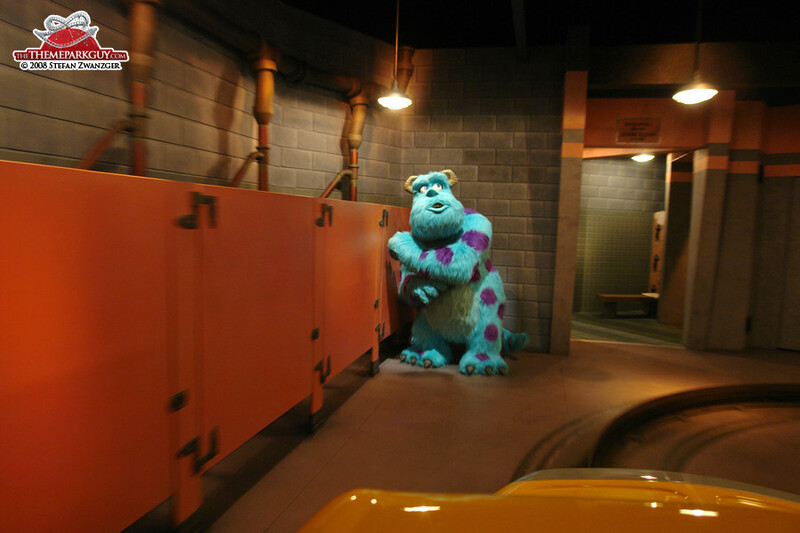 Everything fits together here and every joke is funny. 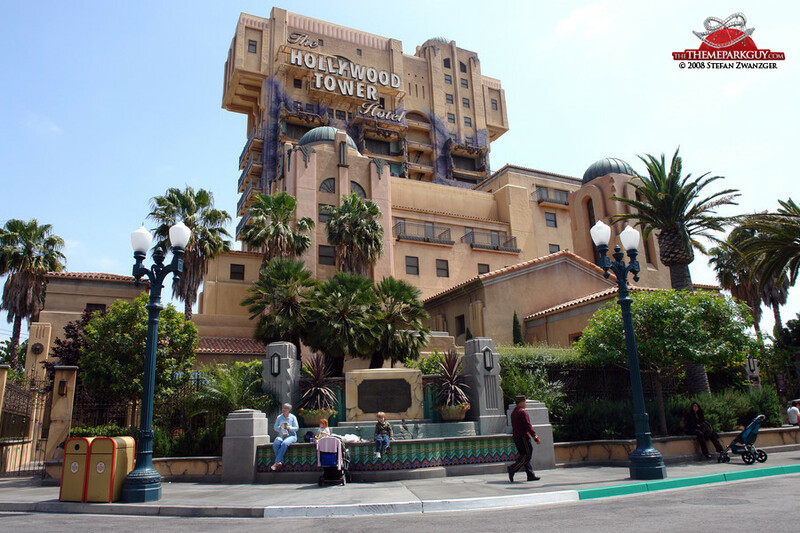 It’s a MUST, for kids, adults and the cool guys with the oversized sunglasses in between! 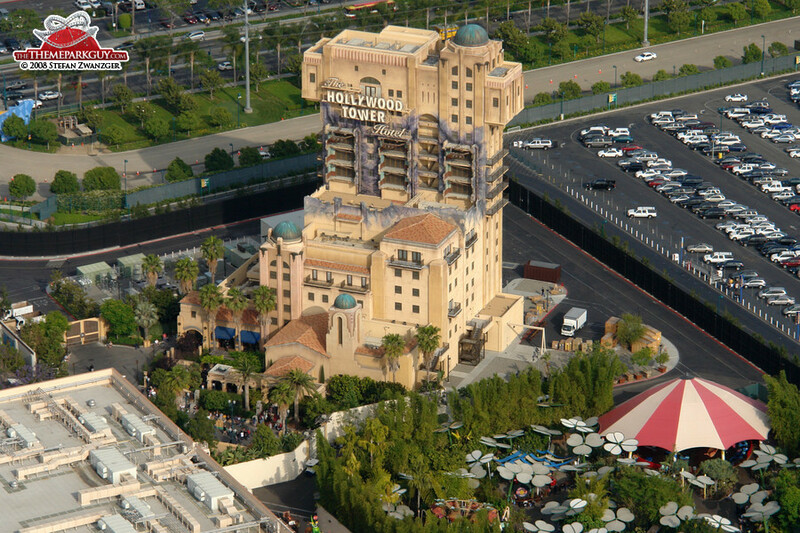 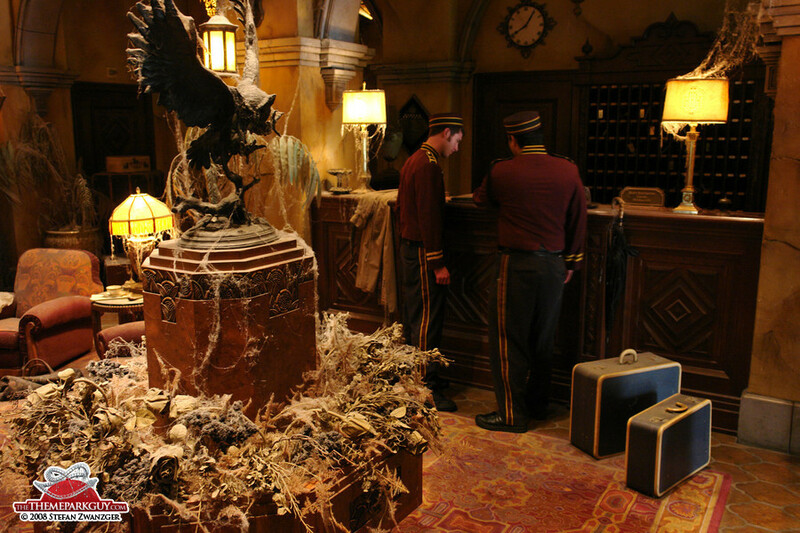 'Tower of Terror': good, though not as good as the version in Florida! 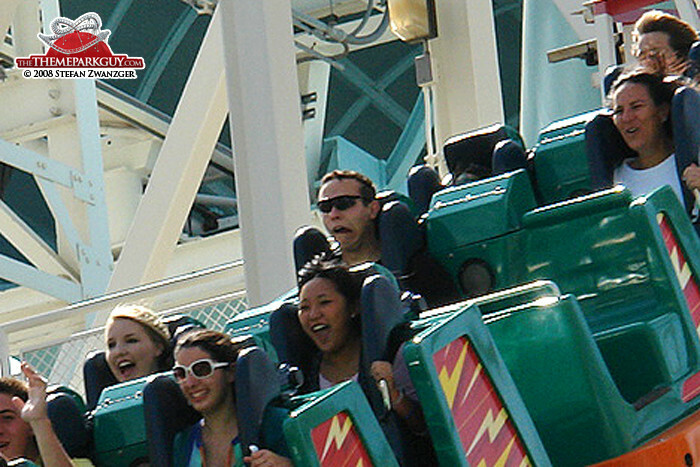 You will scream a lot, but don’t eat before! 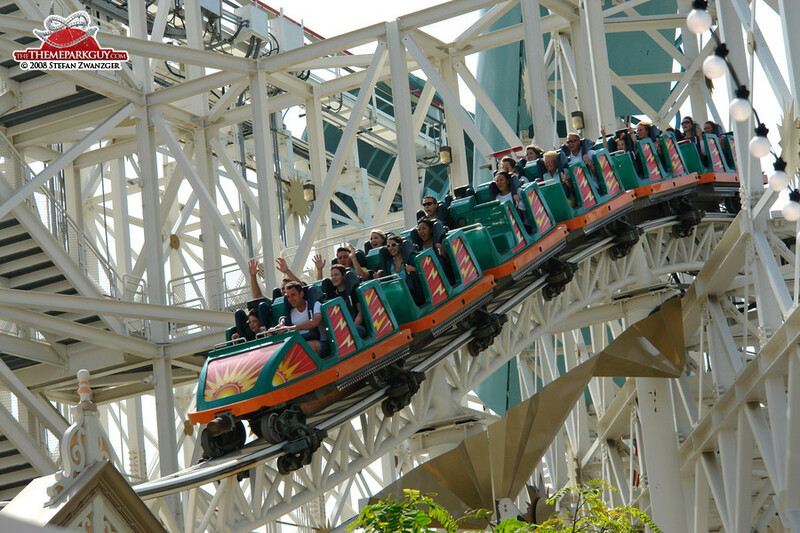 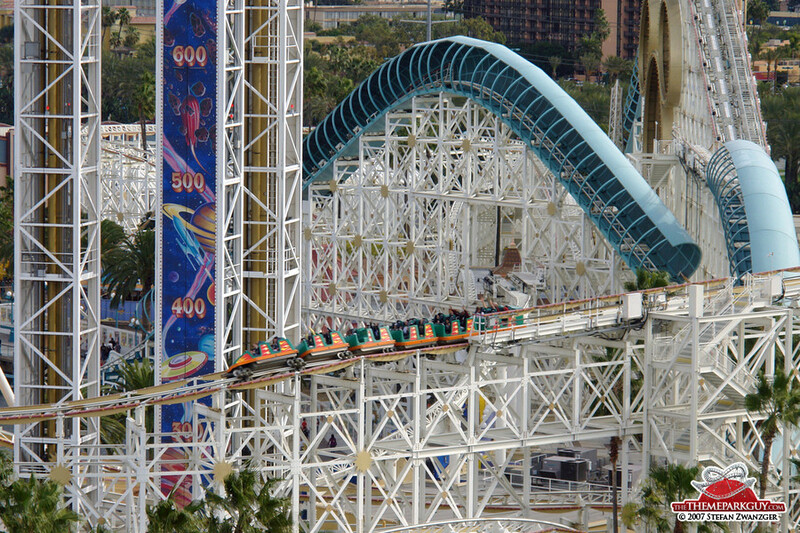 'California Screamin’: a long, fast and smooth fun fair roller coaster of classic non-themed appearance with a speedy upwards acceleration at the beginning. 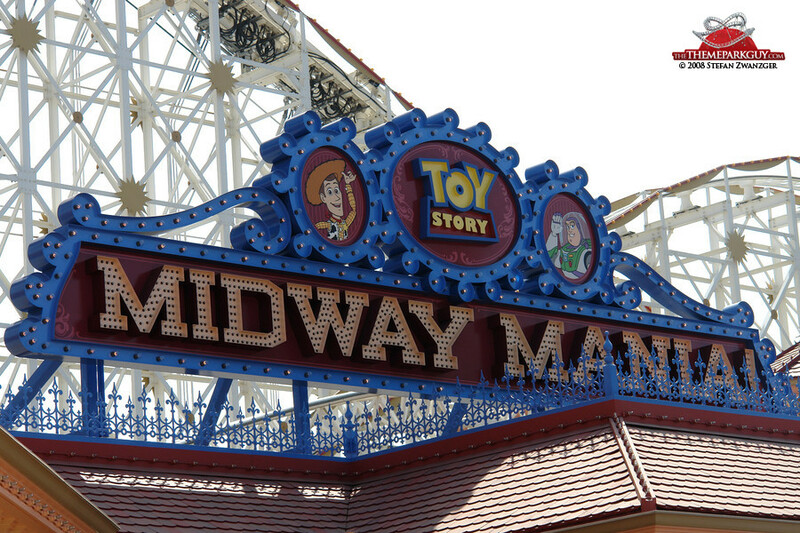 'Toy Story Midway Mania! 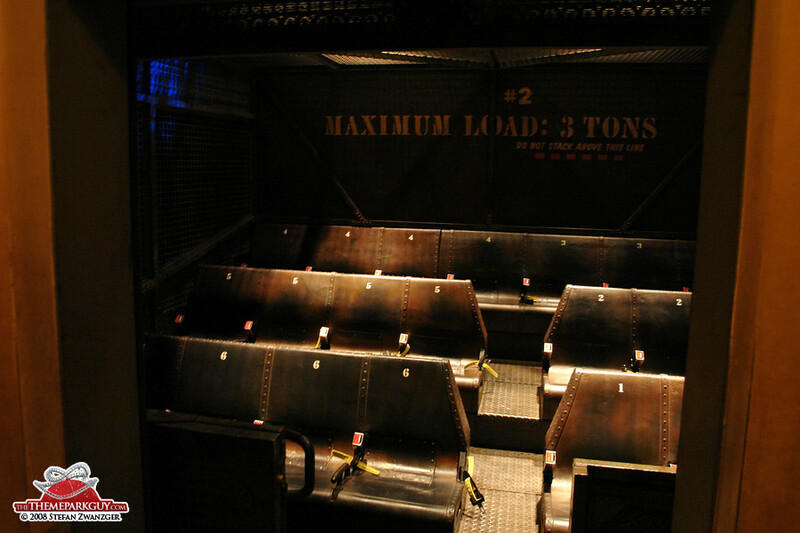 ': the newest addition to this park is a classy shoot-'em-up video game-themed ride. 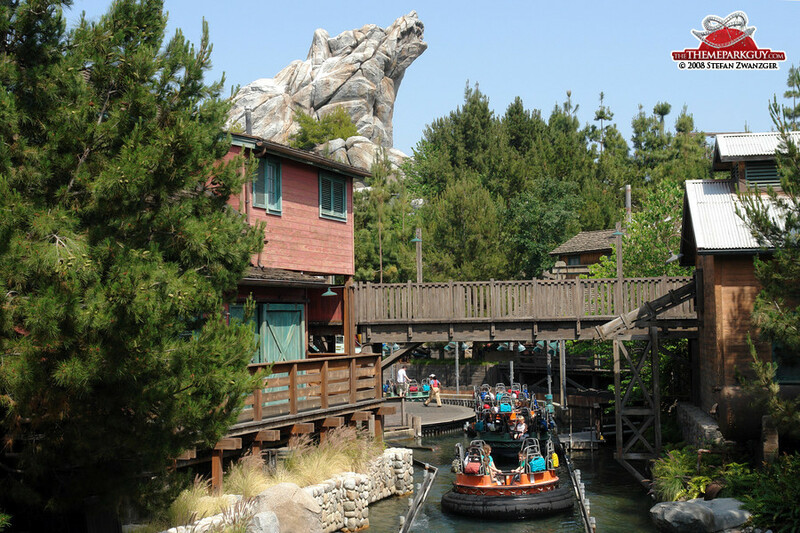 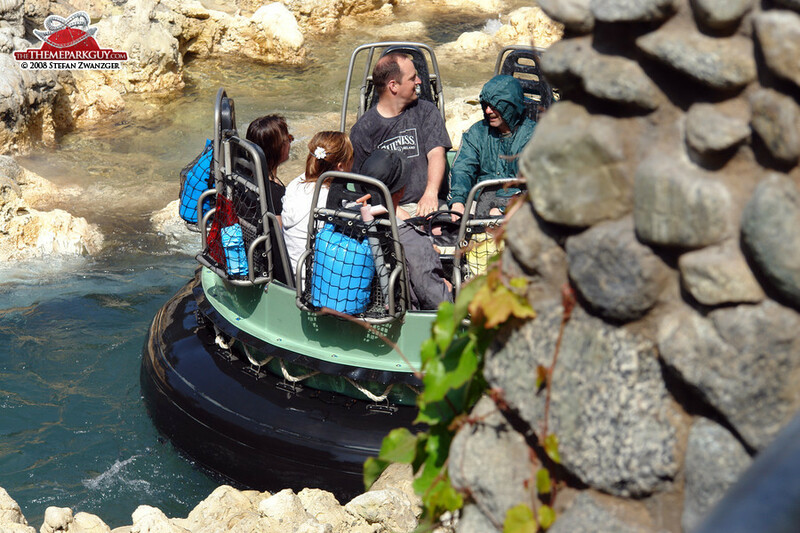 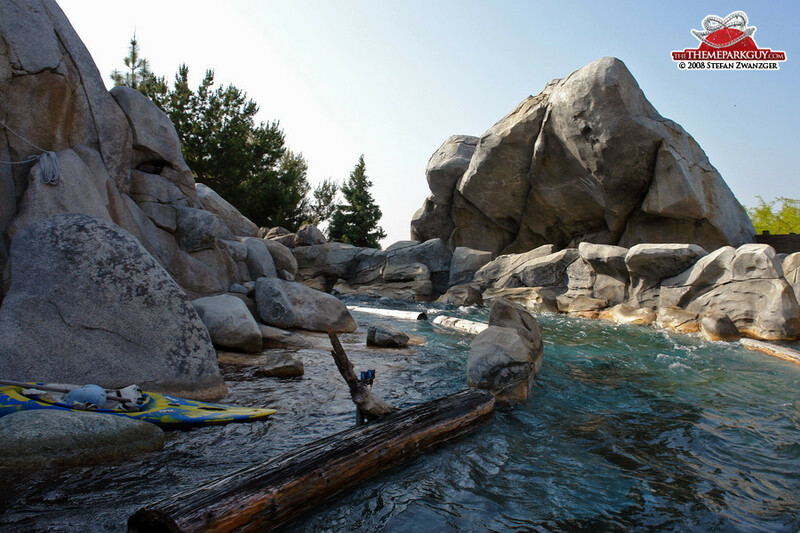 Other attractions include 'Grizzly River Run' (a medium quality river rapids ride with no surprises and no animatronics), 'Monsters Inc.' ride for the kids, 'Muppet Vision' (a 3-D movie which is not half as fun as 'It’s Tough to Be a Bug!') 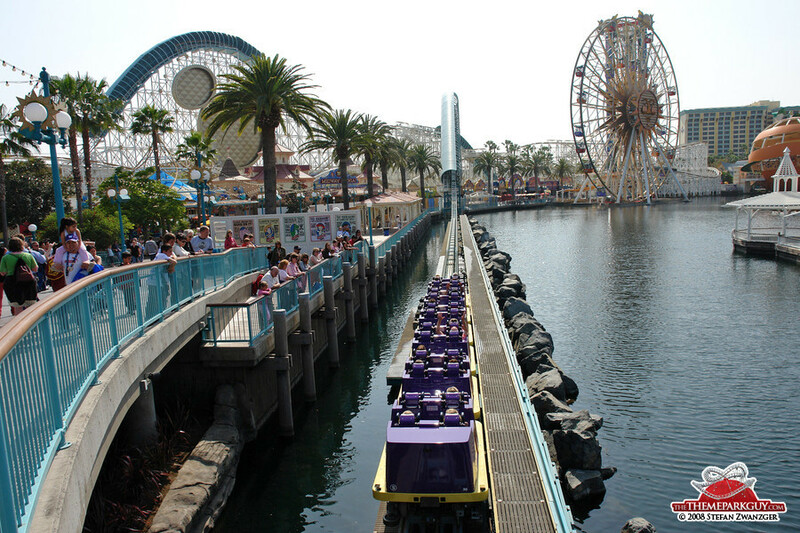 and some classic fun fair rides at the far end of the park. 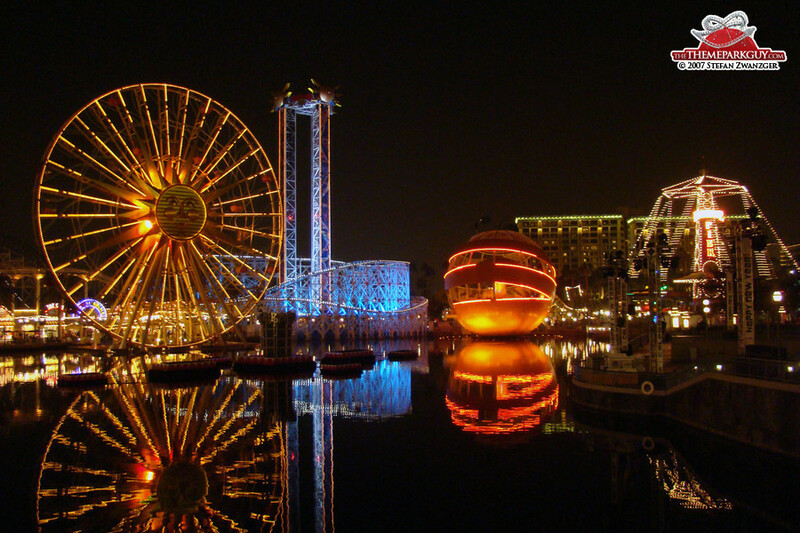 It’s really worth the time visiting both parks, adjacent Disneyland, and this one.